To make this special honey, Sabatino pairs Acacia Honey with savoury black truffles. This infused honey has a beautiful golden amber colour and full-bodied flavour. Try pairing it with salty cheeses and cured meats, or enjoy it alone with crusty bread. 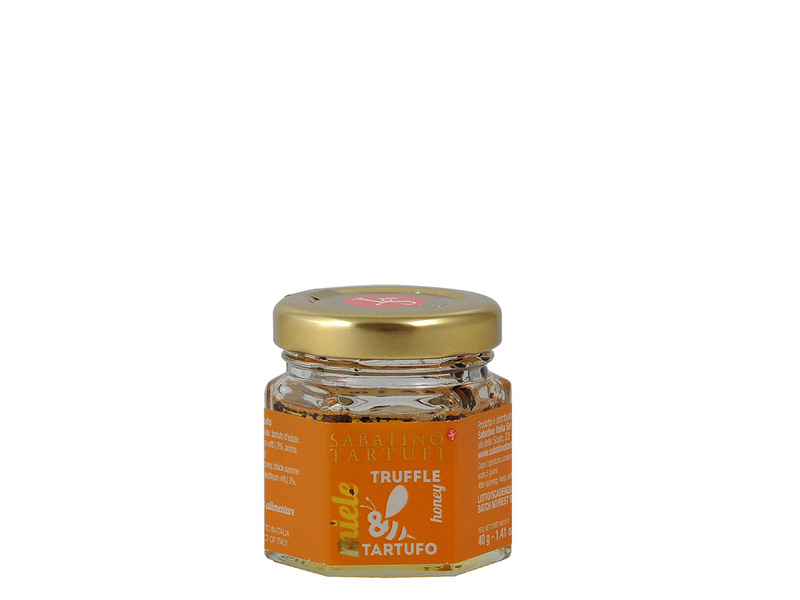 Truffle honey is also a great addition to many desserts, drizzled over cheesecake, a freshly cooked crepe or quite simply on a serve of vanilla ice cream.